ST. GEORGE – After four hours deliberating over a proposed ordinance governing ambulance service in the city, the St. George City Council voted 4-1 to table the matter for an additional two weeks. It is anticipated that questions and concerns raised between the city and ambulance providers will be ironed out by that time. During a City Council meeting Thursday, representatives of Gold Cross Ambulance and Intermountain Healthcare were on hand as the City Council went over an 11-page draft updating the city’s ambulance provider ordinance. Gold Cross representatives were generally supportive of the ordinance, though took issue with some of the provisions that they feel intrude into private business operations. As for other items, like response times, Mike Moffitt, president of Gold Cross, said they have met and exceeded those numbers since starting service in St. George 18 months ago. 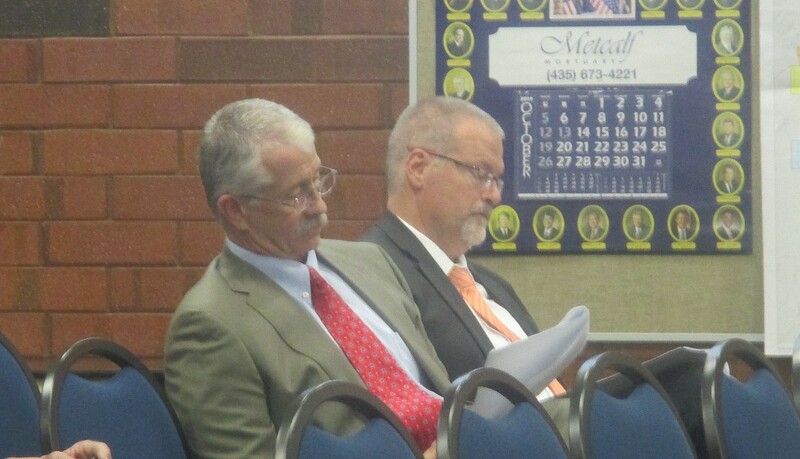 Gary Stone, operations manager for Dixie Regional Medical Center, said Intermountain Healthcare also supports the ordinance, though sought clarification on particular points. While the ordinance was supported overall, Gold Cross representatives objected to portions they felt were overreaching. 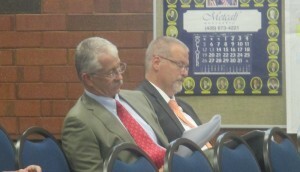 “I think you get too deep into our private business,” Urquhart told the City Council. Some items the city was demanding of Gold Cross through its ordinance are not legal under state statute, Urquhart said, such as forcing the ambulance provider to take all of its calls – both 911 and nonemergency – through the St. George Communications Center. This action is not legal, Urquhart said, and could result in a court battle. However, state law does require that ambulance services have agreements with the dispatch centers in the areas they serve. “We can go anywhere we want by agreement,” Urquhart said. One of the primary sticking points for Gold Cross in the proposed ordinance is being forced “by edict” to go solely through the St. George Communications Center, for each and every call the company gets. While Gold Cross goes through the dispatch center for 911 calls, a part of its private business also involves nonemergency interfacility transport. They provide a nonemergency number for this service that is relayed to their dispatch center in Salt Lake City. These calls sometimes aren’t effectively coordinated with the St. George Communications Center. Due to compatibility issues with the GPS systems employed by the Communications Center and Gold Cross ambulances, dispatchers are not always able to track the ambulance location with the best accuracy. St. George Police Deputy Chief Richard Farnsworth said there have been several times Gold Cross ambulances have been on private interfacility transport calls and sometimes dispatchers have no idea where the ambulances are. It is like having two coaches trying to lead the same team, he said. “We agree that common dispatch could be a good thing,” Urquhart said, adding that it simply needs to be done legally, and that an agreement between Gold Cross and the city could have as much teeth in it as an ordinance could. Despite the issue, Farnsworth said dispatch and Gold Cross have continually worked together to find ways to reduce communication issues. It was recommended that the ordinance have a requirement for a dispatch center agreement that would list specific items the city wants covered. City Attorney Shaun Guzman said it was an option the City Council could consider. The proposed ordinance would require four ambulances to be on duty in the St. George area and ready to roll at any given time. Moffitt said the ordinance would take away his ability to be cost-effective. He argued he should be able to take the number of ambulances down to three during a period when calls aren’t particularly high. Councilman Jimmie Hughes said he wasn’t able to reconcile the idea of Gold Cross wanting to drop an ambulance after making a big deal about promising to make four ambulances available to the St. George area on a 24-7 basis. 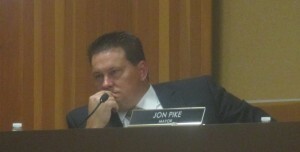 It was one of the points Gold Cross argued in its favor over Dixie Ambulance during a December 2012 hearing held by the state. At the time, Dixie Ambulance stationed three ambulances during the day and two at night. “To me, four ambulances isn’t too many,” Hughes said. While Moffitt argued he should still be able to reduce how many ambulances are on duty, he also said Gold Cross would work with the city on the issue in order to reach a mutually beneficial arrangement. Stone said the number of ambulances needed to adequately serve the St. George area should be determined by a metrics study. Though the city doesn’t maintain its own ambulance service like other municipalities, the citizens still expect the city to look out for them regarding public safety, Hughes said. In all, Guzman said around seven areas of the proposed ordinance need to be revisited and potentially revised after discussing the ambulance provider’s concerns. “I don’t think we have a clean ordinance,” Mayor Jon Pike said concerning the potential revisions and lingering items, and disagreements yet to be ironed out. He recommended the City Council allow city staff extra time to revise the ordinance and work out a dispatch agreement with Gold Cross; yet, he also said he was willing to stay all night if necessary. “How long will a delay take? I felt ready (to vote) six months ago,” Councilwoman Bette Arial said. There are points that need to be clarified for the city staff, Esplin said, adding it should take the council no longer than two weeks to deal with the issues. “If it’s taken us two years to get this far, what’s two weeks?” he said. The City Council voted 4-1 to table the ordinance for another two weeks; Ariel was the dissenting vote. Gold Cross Ambulance took over ambulance service in St. George and a part of Washington City in April 2013. The company replaced Dixie Ambulance after a heated two-year process in which the Bureau of Emergency Medical Services ultimately ruled Dixie Ambulance unable to adequately serve the St. George area, and awarded the exclusive license for service to the city to Gold Cross. Well, the city fathers, in concert with Senator Urquhart and the obviously biased state forced Gold Cross down the people’s throat. So who is now so unhappy that they are trying to force change? Is someone not getting their palms greased enough! I’m sure glad that the surrounding communities have enough brains to fund their own ambulance services, even if they are volunteer. CEDAR CITY AND IRON COUNTY, take a close look at what is happening with ambulance service in St.George. Now as to coordinating with 911 dispatch, that is a whole different can of worms. It is very apparent from listening to the scanners that dispatch has their very own set of problems. Frankly, I can’t think of many jobs that would be tougher than that of a dispatcher. But man, do they ever need to do some hard training there. Of course, as long as the dispatch head is one of the “GOB/GOG” nothing will be done. Sounds simple enough have all fire fighters and volunteers take an EMT class to cover the basic task all ambulance techs are required to know buy law. Then put an ambulance in each fire station on call 24/7. Tell Gold cross to take a hike if they can not honor their own agreement . They want to be the only game in town they can go find some backwater berg to play that game with. Does “Conflict of Interest” ring a bell with anyone in this state? A State Senator, who is also the legal rep for a private company, negotiating with another government entity to ensure a favorable agreement. How are the people’s interest protected here? Seems Gold Cross is being protected by the State government. This is outrageous! Business over the people again and again. Where’s the “intrusive government” outrage now? Why does the City care how many ambulances are on duty or where they are located? Senator Urquhart does not come cheaply, and all this talk is digging into Gold Cross profits. So what that they promised four ambulances when they were courting the city? This cuts into a private business potential to maximize earnings. And it is intrusive on a private business to make them verify their response times, or know how many ambulances are available. This is not really even an issue and I suggest that this issue not be pursued any further. Gold Cross should only be accountable to the stock holders of the company. Any attempt to regulate them is a government overreach. Why does the city care? Because a contract has been signed and promises were made. Let alone the fact that this is a public safety issue and taxpayers are beholden to this lone company for emergency medical services, any company or organization which does business with another needs to maintain whatever standards were agreed upon. It appears there is disagreement with whatever those promises were or how they are being adhered to and therefore, as a party to the contract, the city has every right to say “show us records” or “keep up your end of the bargain”, etc and also has the right to terminate the contract if the other party refuses to abide. This is not a case of government interfering with private business. It is a case of two parties disagreeing on details, which the city has every right to do, and a case of maintaining public safety standards, which the city has every OBLIGATION to do. If you live in the area, would you not rather have a copacetic relationship between your emergency services provider and the organization for which it works? Would you rather not have the best services available or instead have the best profit for stockholders? I’m a dispatcher. What problems are you speaking of? I’d love to hear how we can better our services for the community. Please take this opportunity to educate a willfully listening member of the profession you have issues with. You could also make a phone call or write an email to the Chief of Police or the Dispatch Center Manager. We are here to serve.